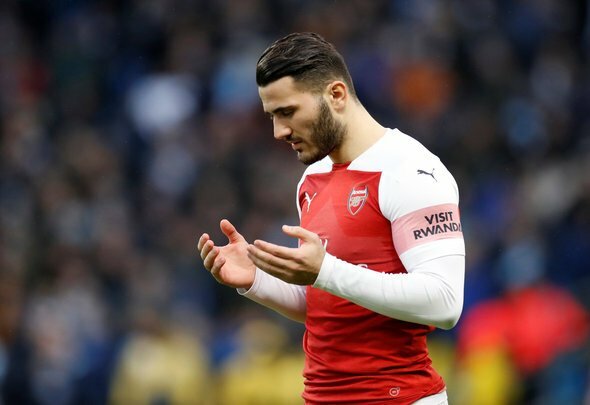 Sead Kolasinac had a pretty mixed evening for Arsenal in their 1-0 defeat to BATE Borisov on Thursday night. Going forward, he was the team’s only real outlet for much of the game. He was constantly in space on the left hand side and was regularly found by Alex Iwobi, in particular. His end product needs to be improved because he wasn’t able to consistently find a team mate with his crossing. However, he kept plugging away and he deserves credit for that. However, defensively he was an absolute mess. This is a similar story for Arsenal fans, this has been the way of things with the Bosnian throughout his Gunners career. He was one of those players at fault for the BATE goal. He didn’t do well enough to put Stanislav Dragun off, indeed, he barely looked like he jumped. That’s simply not good enough for an Arsenal player and it was indicative of a frustrating evening for the former Schalke man. This is Futbol has rounded up some of the best tweets below. Kolasinac, Monreal, Mustafi all need to be binned ASAP. Kolasinac at fault for another goal. Huge shock! ??? ?